Mobile devices such as smartphone and tablets are becoming more and more popular. Not only are they extremely convenient, but they are used by people of every type of age and demographic. Apple’s iPad is one of the most popular tablets on the market today, and although it is considered a mobile device and has the functionality of a computer, it is completely different than a smartphone or a desktop computer. iPads tend to focus solely on apps, and many companies are creating their own apps as a way to reach their audience. But if you want to compete with all of the apps that are currently available for the iPad, you need to make sure that you do the following. It’s very important that you know who your audience is, and you create an app for this audience. 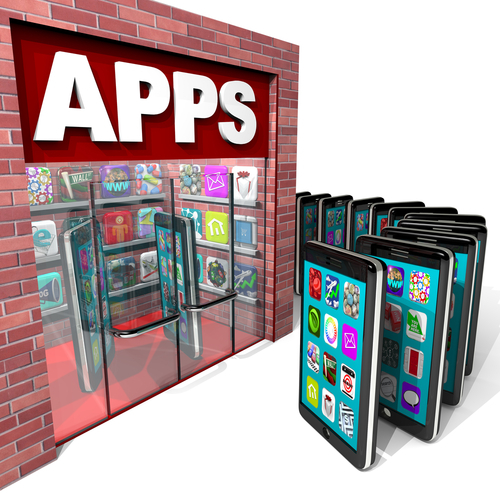 Some companies think that they should create a generic app that would reach anybody, but this does not help market your company. Instead, you want to ensure that you’re creating an app that will be attractive to your main target audience. It’s better to start out with a basic app that it easy to use and not confusing than to create one right away with all the bells and whistles. By creating a more basic app, you can get your users used to your app, and you can then continue to make the right upgrades when necessary. If your app is too overwhelming or too confusing, people will not use it. If your app never changes, you’re going to lose your audience. Instead, you want to make sure that you are constantly providing the right updates and upgrades to your app to keep your audience interested and actively using it. If your app is a game, add higher levels or better prizes for completion. If your app provides a service, try and see how you can make it easier for your users or if there is anything else that can be added to make your app more valuable. Before, during and after you launch your app, you want to make sure that you are constantly testing it to ensure that your users are receiving the best experience. If there are any glitches or any areas of your app that don’t work, it is going to turn users off. By constantly testing your app, you can be aware of any glitches and correct them before they affect the success of your app. There are thousands of apps available for the iPad, and if you don’t market your app, you are not going to have much success. Make sure that you promote your app in every way you possibly can. Promote it on your blog or website, take out banner ads, and even advertise on other apps. The more you promote your app, the more people will know it exists. Creating an app for the iPad is a great way to market your business and provide your audience with a valuable tool. If you want to create an app for the iPad, make sure that you use these tips to ensure that your app can compete successfully. Jessica Brown is a marketing professional writing on behalf of SEOMap. To read more valuable information on marketing, SEO, and social media, read SEOMap‘s blog.